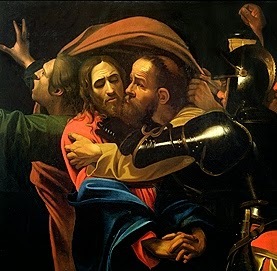 The Communion Veil: The Sin of Judas or "I know best." 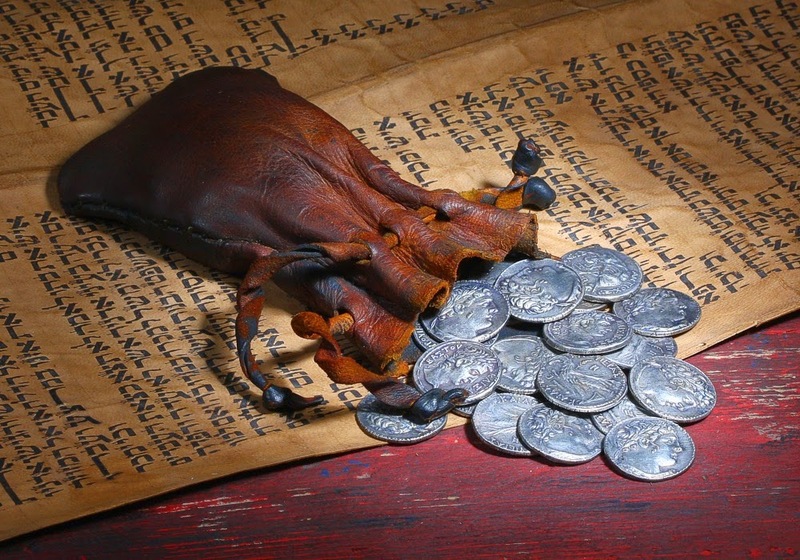 Judas was one of the 12, and he must have witnessed the miracles of Jesus. He knew he was the Messiah, the prophesied King of the Jews, the new King like David to rout the Romans and set up His kingdom on the Earth. But there was a problem. Jesus wasn't doing His miracles for the people that it counted to see them. The Pharisees even asked to see a sign, but Jesus rebuked their request. Then some of the scribes and Pharisees said to him, “Teacher, we wish to see a sign from you.”He said to them in reply, “An evil and unfaithful* generation seeks a sign, but no sign will be given it except the sign of Jonah the prophet. Matthew 12:38-39. If only they could see what Jesus was and what He could do, then the Pharisees would bow down to Him, the Jews would rise up and defeat the Romans, with Jesus leading them, and the dreamed of Kingdom would be established. But how to make that happen? Maybe if Jesus was forced to perform a miracle for them, they couldn't help but believe. Throughout the New Testament it speaks of Jesus speaking with "authority". I think Judas realized Jesus's authority, and thought if Jesus was among the Pharisees, this authority could not help but express itself. If Jesus was held prisoner, it could be the catalyst for the establishment of the Kingdom. Yes...that would be perfect. The Pharisees will of course question him and all will be made right. I will sell them Jesus's location, adding to the purse and then we will have a greater stake to begin the Messiah's Kingdom. Judas heard what Jesus said about the sign of Jonas, but Judas had another plan...because Jesus didn't really understand how to deal with the Pharisees, whereas Judas had been around them his whole life. To Judas kissing Jesus in the garden was a kiss of victory. It was later, when he realized that all his plans where not materializing as he thought they should that it hit him what he had truly done and who he had really betrayed. "They can't crucify Him! He is the Messiah!! NO. NO NO..this isn't what is supposed to happen!" His first thought was to return to the temple, to rectify the situation, make it right. Imagine this. He had betrayed the Messiah, God in the flesh, now he was rejected by the Priests of the temple. Where else could he go? No one on the earth ever faced such ultimate despair that Judas at this moment. Judas's sin was a sin that all of us have committed. The sin of thinking we know better than God. We commit this sin by being disobedient, arrogant, or just trying to get our own way no matter what the cost is to others. The saddest thing is Judas could have been forgiven. 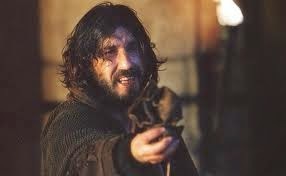 You see God was still allowing Judas to breathe, and his heart to beat long after he had betrayed His Son. God could have struck Judas down anytime he wanted. God will give so many opportunities for us to turn to Him, no matter how black the sins. God was giving Judas a chance. The battle for Judas's soul must have been a fierce one between the demons and his Guardian Angel. But just as Judas was shortsighted in who Jesus was, he also lacked an understanding of the mercy Jesus showed even in His ministry on Earth. There must have been no hope in a man that had seen a man dead four days raised to life but yet despaired that anything could be done for him. 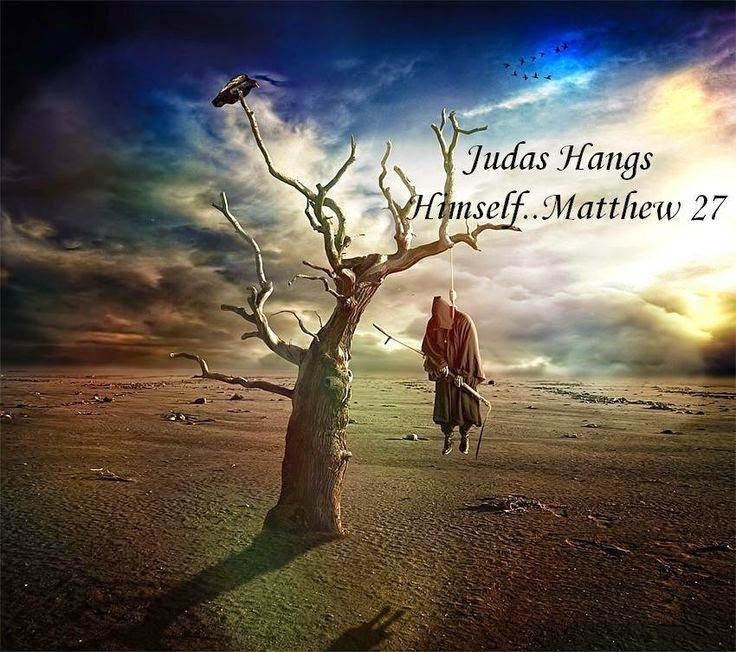 God's mercy was with Judas, available to him up even till he threw himself from the tree with the rope around his neck. But by his own choice and action on that choice, Judas set his own eternity. We should never forget that God's mercy is available to all, even the blackest of hearts, until their last breath. Our job is to tell those farthest from God about God's mercy while there is still time.